Range time is great, but the type of shooting people do at the range is most often drastically different from the type of shooting they would be doing in a self-defense scenario. For example, according to the FBI, 95% self-defense shootings take place within 21 feet and last only a few seconds. The best data on the subject also suggests that it usually takes 2-3 handgun rounds to center-of-mass to take an assailant down. These situations are quite different from the paced, controlled shooting that most people practice at the range. While this type of practice is undeniably important, it's also a good idea to practice for the situations you are most likely to encounter. 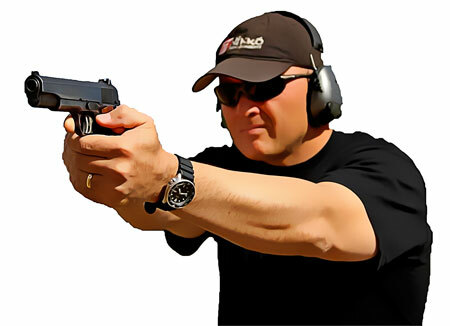 With an unloaded firearm, practice drawing your weapon several times while aiming at a short-range target. If you are able to get your sights lined up immediately every time you will likely be able to consistently put 2-3 rounds in the center of a target. 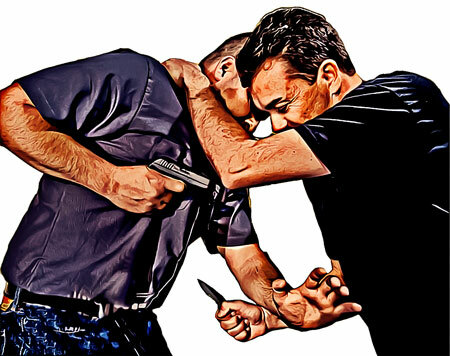 Doing this without having to spend more than second or so aiming between shots you will be well-prepared for the most common self-defense scenarios. As you are probably aware, carrying in warm weather is a lot more complicated than carrying in cold weather where you have layers of thick clothing to easily conceal a weapon. Thankfully, breathable, moisture wicking clothing can make carrying in the summertime a lot easier. 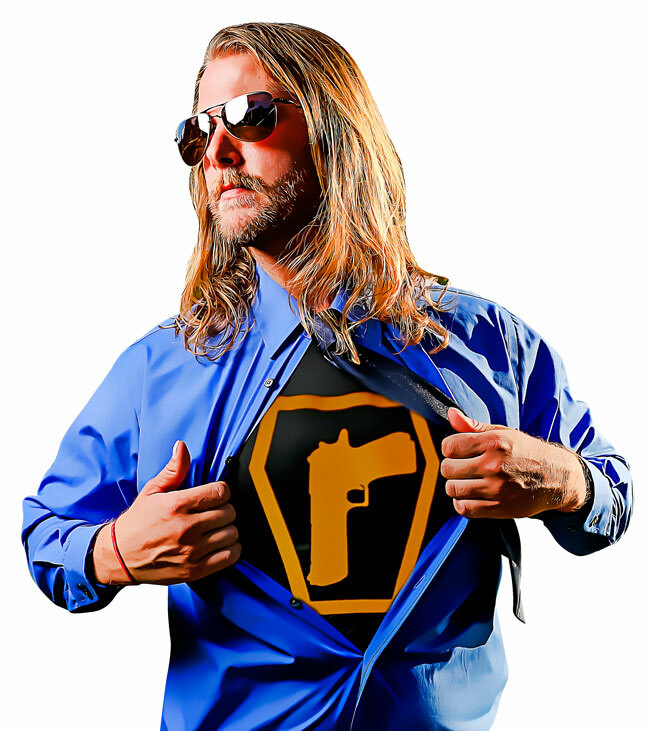 One great tip for summer carry with the traditional IWB is to wear a polyester compression shirt such as those offered by Nike or Under Armour as well as a loose-fitting, outer shirt that is also breathable. Then place your holster between the two layers of clothing. The inner layer of clothing keeps your weapon from rubbing against your skin and the moisture wicking material keeps sweat spots from causing printing. Since the material of both your inner and outer shirt is cool and breathable, wearing the two layers of clothing will be comfortable even when it's hot outside. When wearing a deep concealment holster like the Urban Carry G2 the situation is different from the traditional IWB. The G2 holster is completely below the waistline where little to no holster or firearm is actually touching your skin. It is usually resting between your boxers or boxer briefs and your outer pants or shorts. While not always recommend, due to practicality in many situations carrying off-body is a popular choice. This is especially true if you normally carry a purse or other handbag with you. Keeping a weapon in the glove compartment of your vehicle is another common choice for concealed carry permit holders. Unfortunately, many people choose to skip out on a holster when they carry off-body. 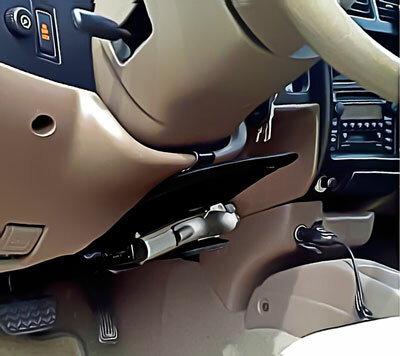 There are however a number of options for Vehicle Holsters and Stearing Wheel Holsters to help resolve this problem. This presents several problems. For one, having a gun bouncing around unconstrained inside your purse or handbag is a concerning safety issue. Second, without a holster holding your weapon in place, you won't ever know exactly where exactly it is lying. This makes it difficult to quickly and smoothly draw your weapon in a self-defense scenario. Thankfully, there several great off-body holsters and concealed carry handbags with holsters built in that will allow you to properly secure your weapon wherever you choose to store it. There are a lot of capable, accurate marksmen who could not draw their weapon and hit a target with their non-dominant hand if the whole world depended on it. Unfortunately, there a number of circumstances where accessing your weapon with your dominant hand isn't an option. Your dominant hand may have been injured, or an assailant may have ahold of your arm. In situations such as these, you will want to be able to easily access and accurately fire your weapon with your non-dominant hand. Try to carry your weapon in a place where it is accessible with both hands, and practice drawing your weapon with your non-dominant hand (unloaded of course). In addition to this, practice firing your weapon with your non-dominant hand until you get to the point where you are a competent marksman with both hands. Do this and you'll be better prepared to defend yourself no matter the situation.